“None the less I was fearful with the end battle, after the disappointment it was in New Super Mario Bros. U, I couldn’t stop thinking in how it would ruin all the experience if it wasn’t EPIC AS HELL. 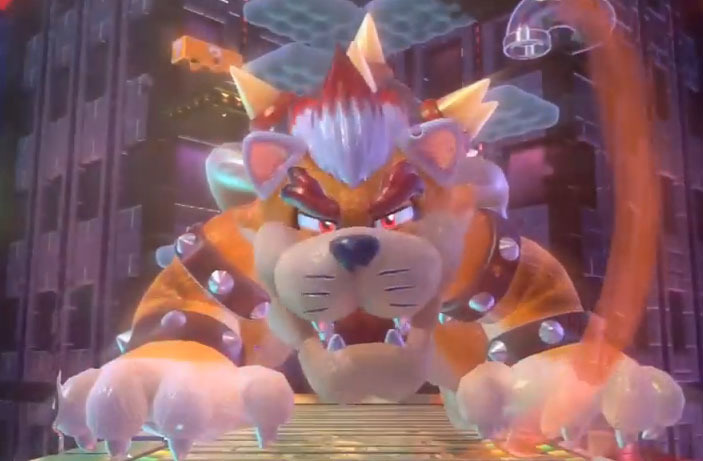 Well…Those people at Kyoto really know how to make my jaw drop in astonishment, when Bowser grabs a bell, transforming himself into a cat and giving chase to our heroes while escalating a huge building and all this under heavy rain. Suffice to say that everything was in glorious HD with lots of effects and a damn good music going hand to hand with the frenetic action. Oh! But that wasn’t all my friends, when I thought that I’ve seen it all with Mario and Co traversing the transparent tubes to safety…a cherry falls and duplicates Meowser that jumps above the clouds starting to climb the titanic building chasing the plumber and friends! 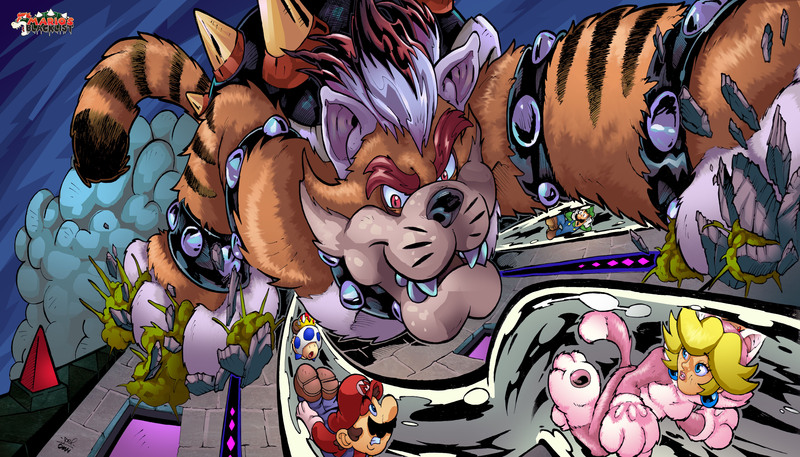 Meowser is the final boss of Super Mario World 3D and makes Bowser much faster and more agile than he ever was before. Mario and his friends had a tough fight with him there at the Great Towser of Bowser. I look forward to see Meowser being a Mario Kart or Super Smash Bros character in one of the next installments!